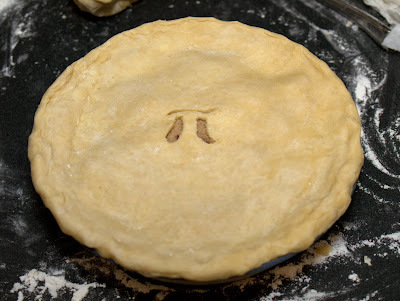 Sarah, being the brilliant lady that she is, suggested that we should make a pie for Pi day (3/14, see). 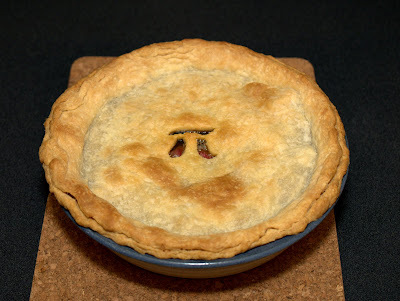 Despite her hesitation, I insisted that we make a rhubarb pie. Just straight-up rhubarb; none of this strawberry nonsense for me. Noteworthy characteristics include the use of cultured butter to make the crust and brown sugar in the filling. Both were incredibly delicious decisions. Behold, photographic evidence of our cooking prowess! You are currently browsing the Home of the Ghostlords archives for March, 2010.